A light show that glows everywhere your customers could want. Now our world famous Underwater Light Show is multifunctional. Use it indoors or out. 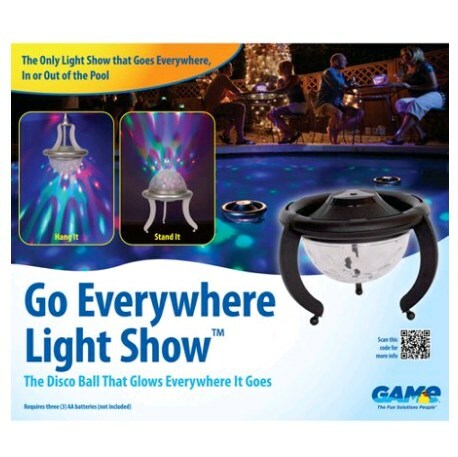 Floating in a pool, sitting on a table, hanging under an umbrella, even as an indoor party light. The flexible cables make the possibilities endless. Get creative and use it everywhere.